The China (Guangzhou) International Game and Amusement Expo (CIAE), one of the most important themed exhibitions of the 2019 Asia Amusement & Attractions Expo (AAA), is set to be held on the 9th - 11th of May, 2019 at the China Import & Export Fair Complex (Area A). After 14 years of development and growth, CIAE has gained a leading position in the amusement industry, and is growing to be the best platform for manufacturers to display their products. It has also become one of the first choices for purchasers to buy quality products or look for business partners. A total of 130,000 square metres over 13 halls will be planned for the 2019 CIAE, with each exhibition hall taking about 10,000 square metres. CIAE has previously attracted over 600 exhibitors and 15 thousand visitors, including 4000 abroad buyers. 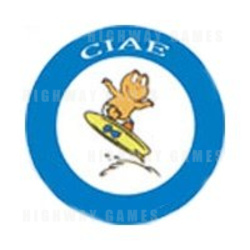 Multiple leading brands have participated in CIAE over the years, including manufacturers such as SEGA, NAMCO, TAITO, ZONE LASER GROUP, UNIS, Suzo-Happ, Wahlap, Huatong and many more.